Microwave sample preparation is the technology of choice for trace and ultra-trace metals analysis. High temperature, closed vessel, acid digestion prepares samples in less time than traditional methods (minutes rather than hours), uses less acid, and retains even volatile elements. With the Milestone series of microwave digestion systems, it is possible to easily digest even the toughest organic or inorganic sample matrix, safely processing more samples in less time with superior results. 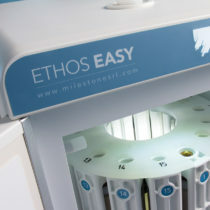 The unique design and specialised accessories give the user a completely integrated system for a broad range of applications such as closed vessel digestion, open vessel digestion, fusion, and protein hydrolysis. 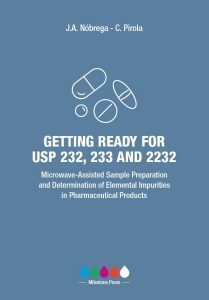 Are you ready for new USP 232, 233, 2232, and ICH Q3D?